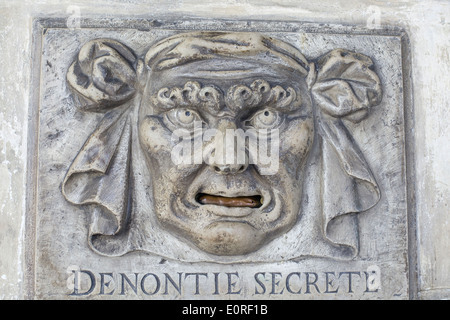 Doge's Palace "Lion's Mouth" postbox for anonymous denunciations, Venice, Italy. 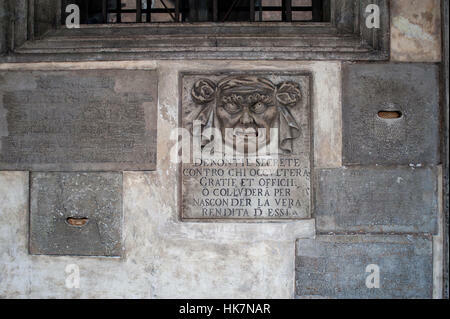 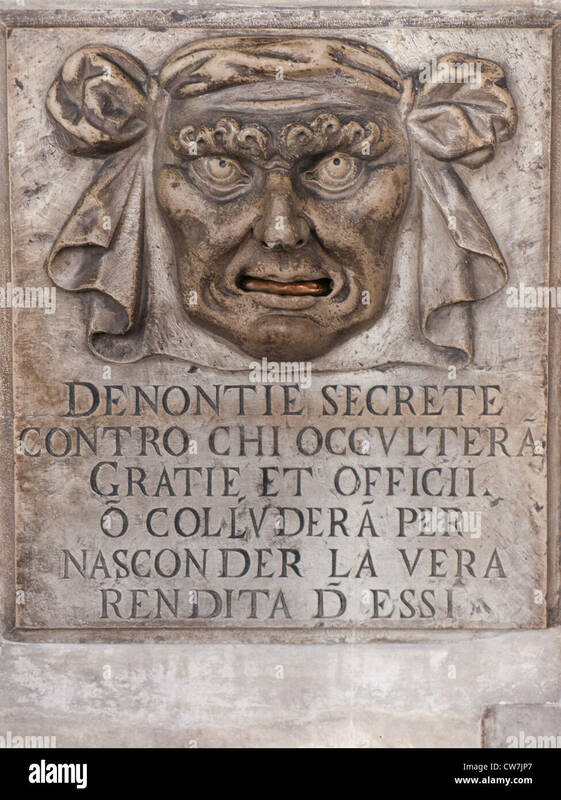 Lion's Mouth (Bocca di leone) post box for anonymous denunciations in the Doge's Palace (Palazzo Ducale) in Venice, Italy. 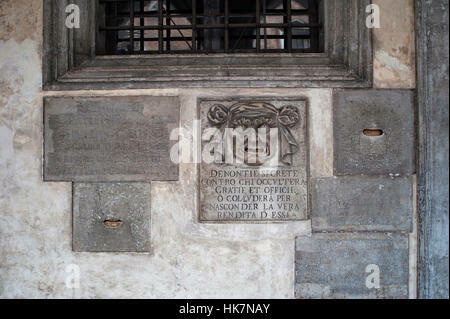 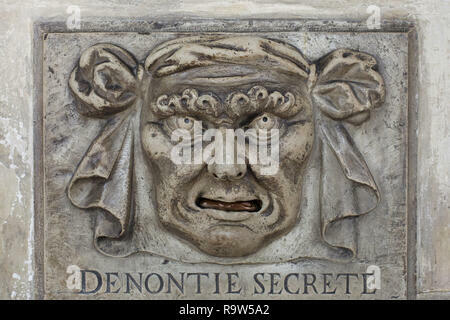 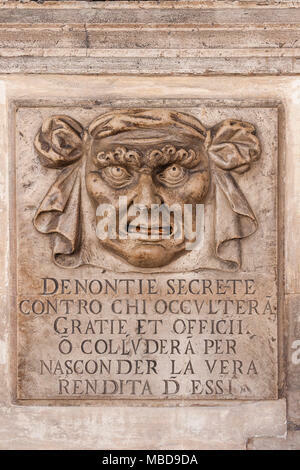 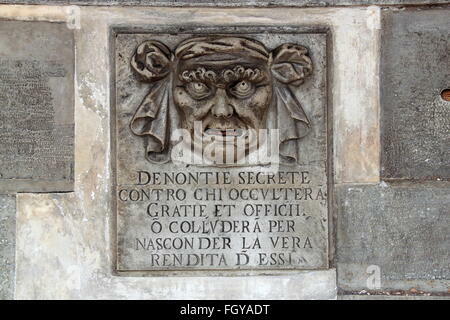 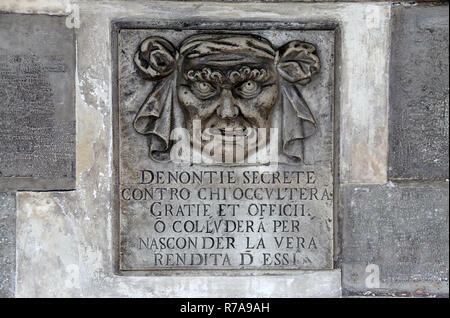 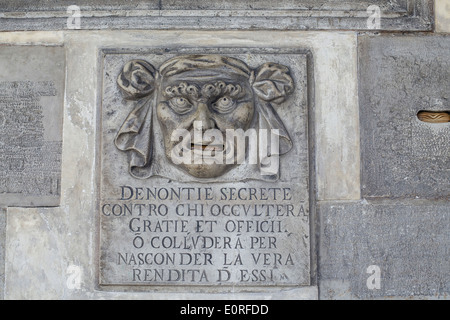 Secret anonymous denunciation letterbox, Doges Palace, Venice, Italy.